The third week of August has been our toughest so far. Warmer then normal air temperatures and little to no rain has made fishing more of a challenge. Water levels on the Bonaventure are slightly below normal for this time of the year, however the temperatures are still favourable at about 58 degrees Fahrenheit . The Bony has a good number of fish especially in our low water pools. Fishing has been good considering the conditions. 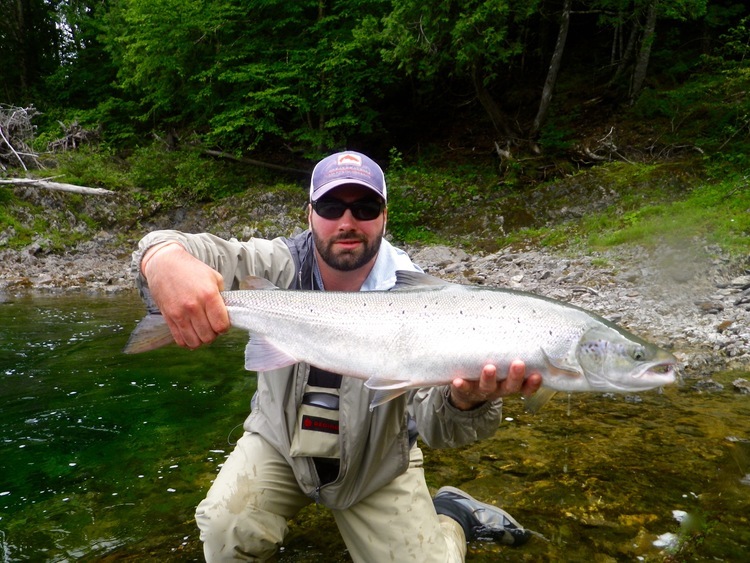 This was Marc first trip for Atlantic salmon, he caught a number if nice salmon including this fine specimen. See you next year Marc! The Petite Cascapedia is much the same with lower than normal levels, water temperatures on the other hand are good, in the 55 degree range. 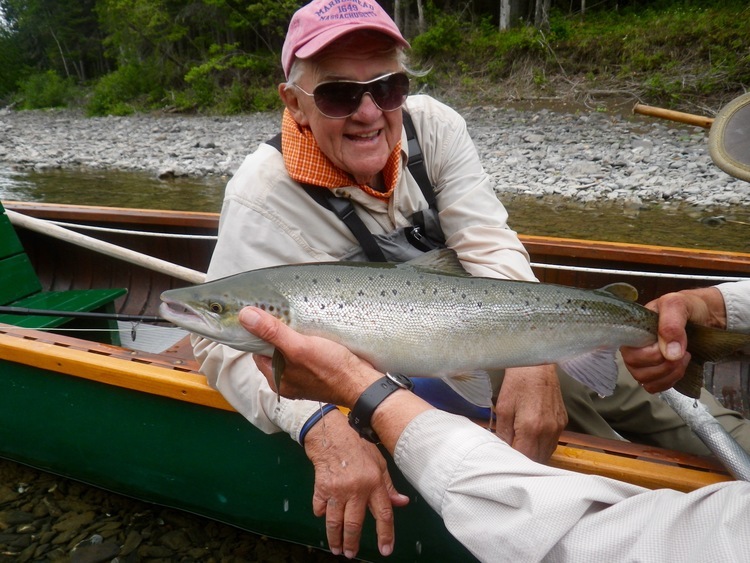 Fishing has been great on the Petite with plenty of action everyday. Long time Camp Bonaventure guests and long time friends John (left) and Chris. Nice salmon John! Water levels on the Grand Cascapedia are the lowest of our three rivers. The branches are low and not fishable at the moment. We have salmon in many of the pools but the water really too low for good fishing. The main stem is producing and catching has been good granted we are working a little harder to catch them. David (Right) with Camp Bonaventure guide Marc poirier, congratulations David! Teo is only nine years old but this is his 3rd trip to Camp Bonaventure. 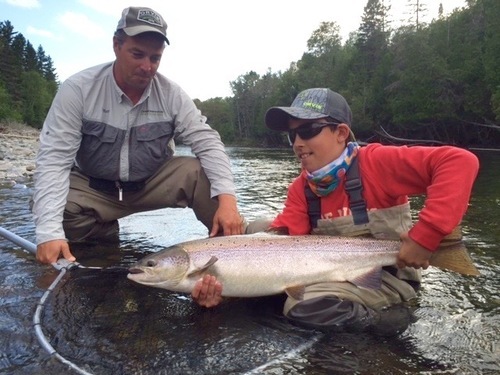 Here he is with guide Mathew Flowers, and a Nice salmon, way to go Teo! Camp Bonaventure regular Ray does it again on the Bonaventure. Ray is one of the best anglers we know, he is blind but it defiantly doesn’t hold him back. Nice one Ray. The weatherman is calling for a good amount of rain on Monday and a mix with showers for the rest of the week, we sure could use it. Mac is a dry fly fisherman only! not hard to tell! The hot flies for the week have been a mixture of dry’s and small wets. Green and Dark Brown Bombers were responsible for most of the catches. 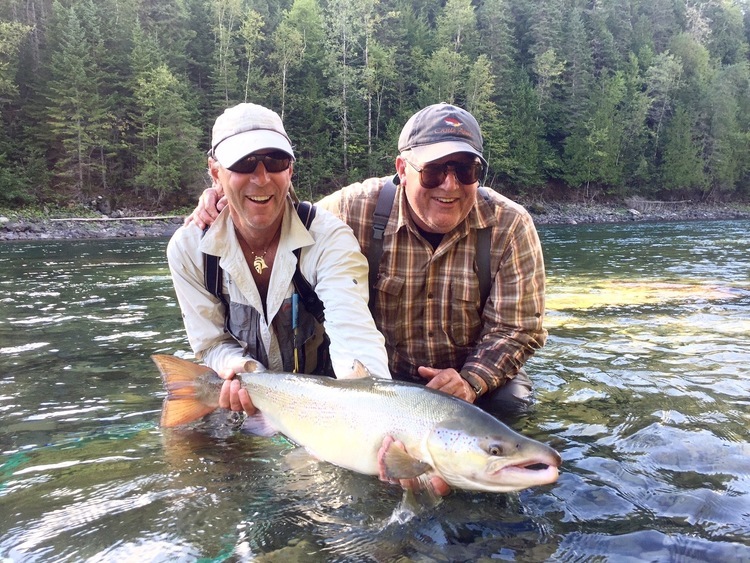 In the wet fly department, the John Olin, Green machine and Silver Rat did the job. The John Olin and Green machine were the hot ones on the Petite. Sizes that are working best are number 8’s 10’s and 12’s. 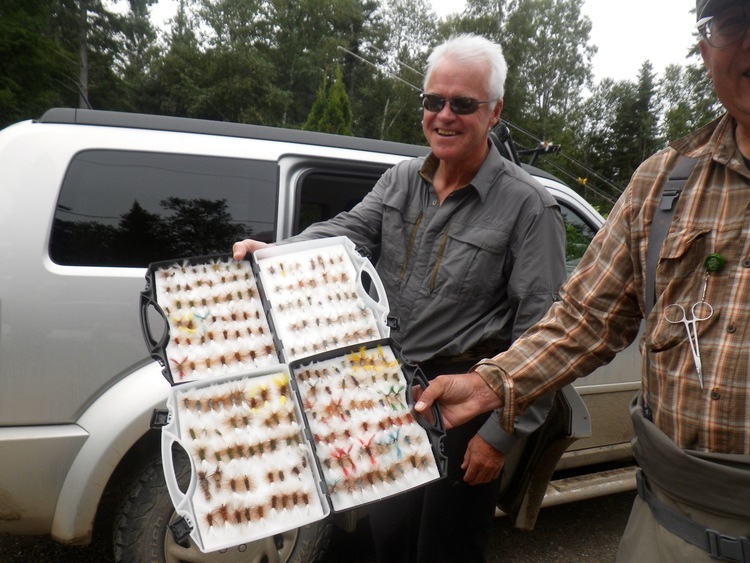 If you are interested in joining us next season, I still have a couple of prime dates available at both Camp Bonaventure and Salmon Lodge for the 2017 season. 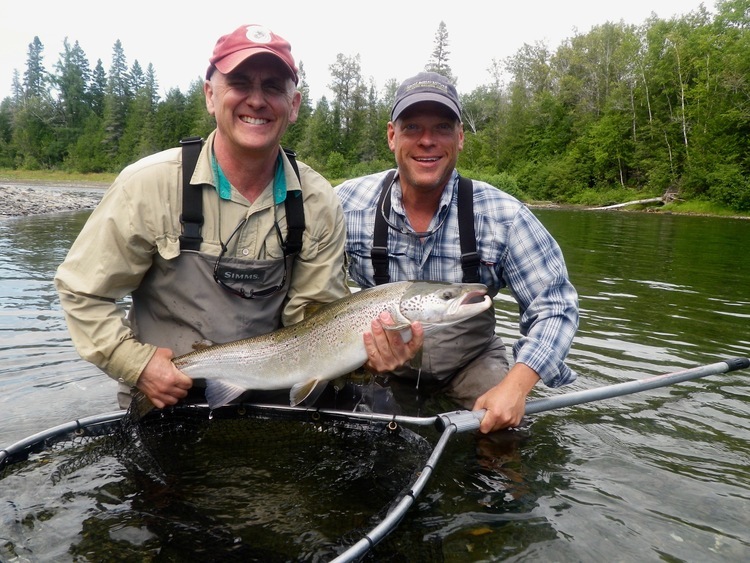 Fishing at both these lodges for Atlantic Salmon is amazing, we have a very very special trip planned for 2017, where we will fish both lodges and all the rivers over a 6 days fishing period. Check out our hosted week in 2017 CLICK HERE and we look forward in you joining us on the river bank.